Civil activist Rev. Martin Luther King Jr. was assassinated on April 4, 1968. King was shot on the balcony outside of his room at the Lorraine Motel in Memphis, Tennessee. He was 39. There are plenty of ways to celebrate Martin Luther King, Jr. Day on Monday. On the historical side, there's the annual Civil Rights Festival at the Frederick Douglass National Historic Site, featuring a documentary on the trials and tribulations of the civil rights movement as well as an A&E bio on the famed civil rights leader himself. All film screenings are free and run between 11 a.m. and 3 p.m. If you want to get a little more interactive, visit the National Museum of American History from 10 a.m. to 5:30 p.m. Monday. Participate in the sit-ins of the civil rights movement, sing-along to songs and more. 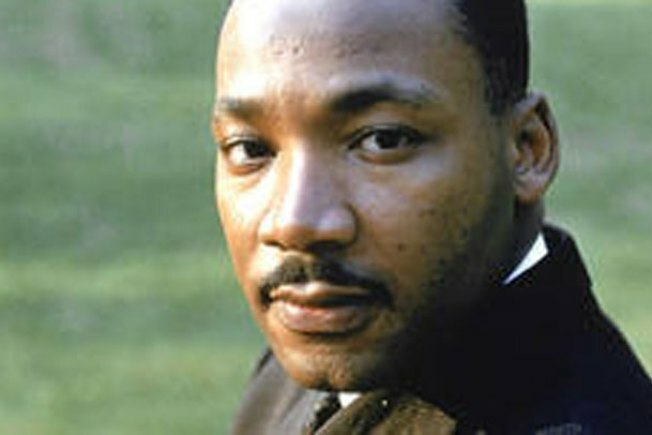 The official Martin Luther King, Jr. Birthday Observance ceremony starts at 11 a.m. Monday in the auditorium at the U.S. Department of the Interior, followed by the placing of an honorary wreath on the steps of the Lincoln Memorial at 1 p.m. In case you aren't up on your history, those steps are where Martin Luther King, Jr. delivered his landmark “I Have a Dream” speech in 1963. Watkins Elementary School students will recite the speech in a moving tribute to Dr. King, vacations.com notes. Like, Chuck Brown Celebrates Dr. King's Legacy at the Washington National Cathedral on Wisconsin and Massachusetts Avenues NW, featuring none other than D.C.'s own "Godfather of go-go," the African Heritage Dancers and Drummers, the Heritage Signature Chorale and the Urban Nation H.I.P.-H.O.P Choir. The two-hour event starts at 2 p.m. and guess what? It's free. 202-537-6200. Before you head off to the Cathedral, don't forget to stop by the Kennedy Center where India.Arie and the Let the Freedom Ring Choir will join the "Let Freedom Ring" concert. Co-sponsored by Georgetown University, the event starts at 6 p.m. -- but set your alarms: the free tickets (limit: two per person) will be handed out in front of the concert hall at 2700 F Street NW from 10 a.m. to noon. 202-467-4600.
build a home with the DC Habitat for Humanity at 301 54th Street NE, from 8:15 a.m. to 4 p.m. Call Jenna Widmann at 260-452-4613.
give away free clothing to men, women and children in front of Gospel Rescue Ministries at 810 5th Street NW, from 11 a.m. to 3 p.m. Call Latoya Sorillo at 202-842-1731.
paint a mural and more for City Year Washington's project at Ron Brown Middle School in the District, from 9 a.m. to 1 p.m. Call City Year at 202-776-7780. And there are even more projects listed on the city's MLK Day Project too. And finally, for the faith-minded, there's a prayer service and march at 10th Street Baptist Church at 1000 R Street, NW., from 10 a.m. to noon, followed by a march to the African American Civil War Memorial and a wreath-laying ceremony from 12:30 p.m. to 2 p.m. It's all free. 202-345-4006.